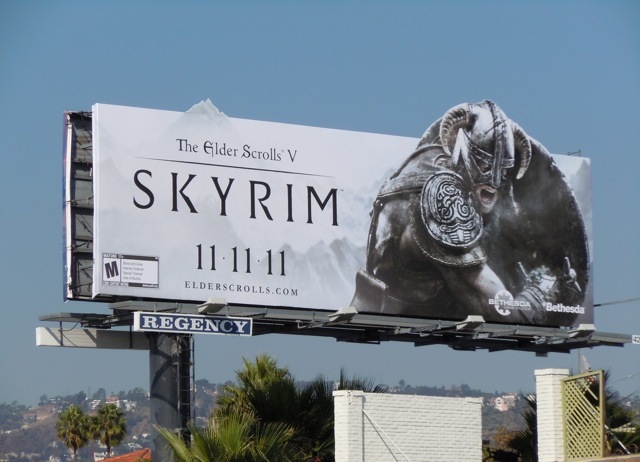 You can tell when the Christmas gifting season is fast approaching when the skies are filled with loads of video game billboards for gamers to ask Santa for. 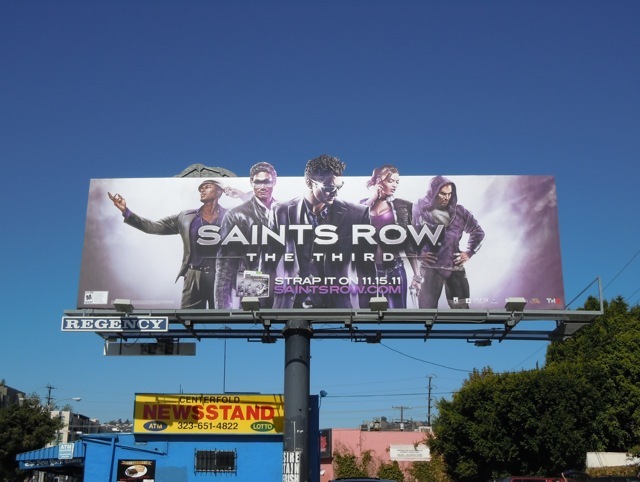 In addition to the latest Call of Duty and Battlefield 3 game billboards, here are three other video games duking it out above the streets of L.A. 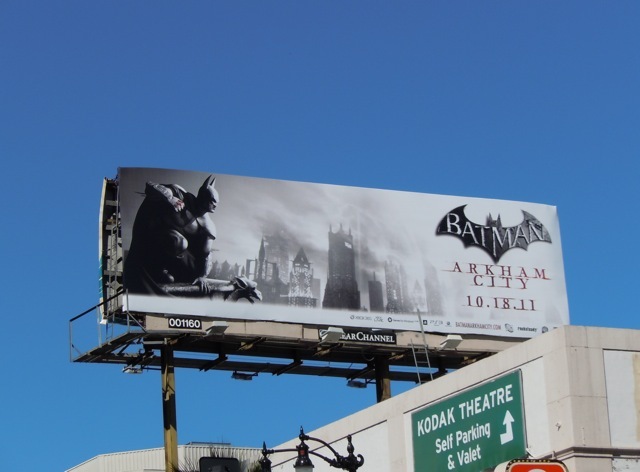 There's the atmospheric Batman: Arkham City, featuring the Caped Crusader in a classic pose, snapped along Hollywood Boulevard on October 12. 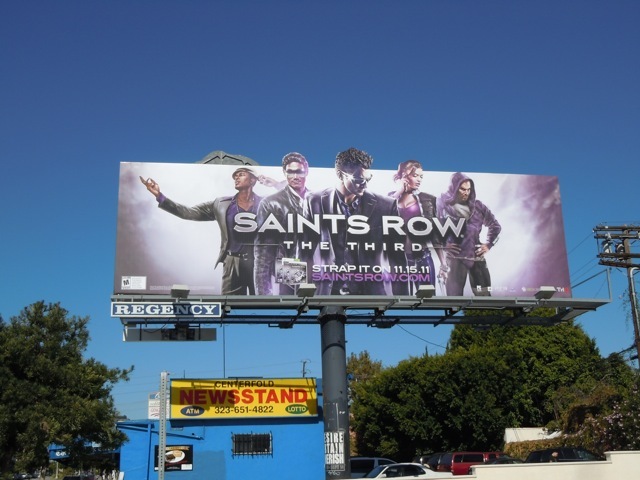 Meanwhile, The Elder Scrolls V: Skyrim and Saints Row: The Third literally battle it out with special extension billboards back to back, and visible from each side, along Fairfax Avenue at Melrose Avenue on October 26. 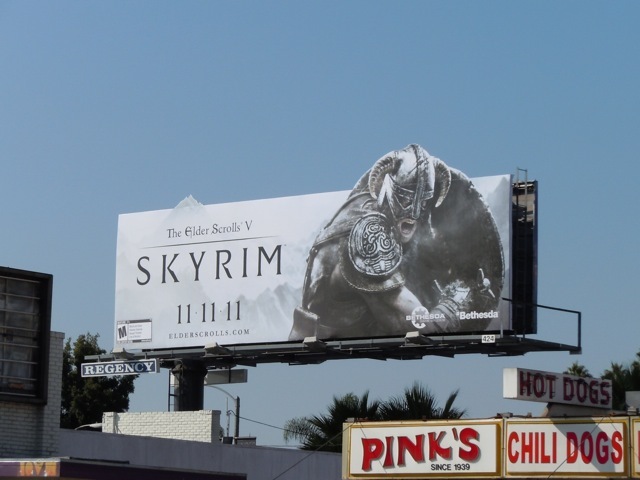 This Skyrim ad was actually photographed at Melrose and La Brea Avenues, and Daily Billboard likes how the snowcapped mountain peak sneaks above the billboard in addition to the armoured warrior. 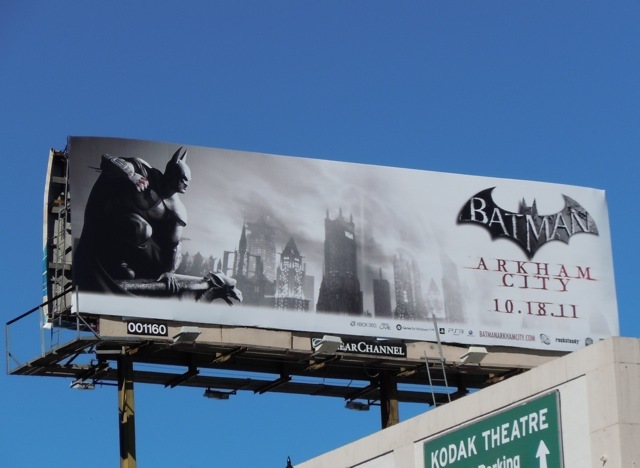 Which video game billboard do you think should win this battle?